Considering that we spend one-third of our life in bed, it is critical to keep our mattresses as clean as you would any other surface in your home, if not more so. We are all aware that our bedding gets filthy over time as we: sweat, shed off dead skin, hair, and leave behind thousands of germs. These are the polite things to mention! Washing our bed sheets does help, but for a deeper clean, steam cleaning is the way to go. Steam cleaning is optimal to help eliminate tough stains and will also help deodorise your mattress. Furthermore, it has been shown that removing dust mites from mattresses considerably helps to reduce the prevalence of eczema, asthma and other allergic responses. Our team at Diamond Steam Cleaning is trained and equipped to remove embedded dirt and allergens and sanitise odours. 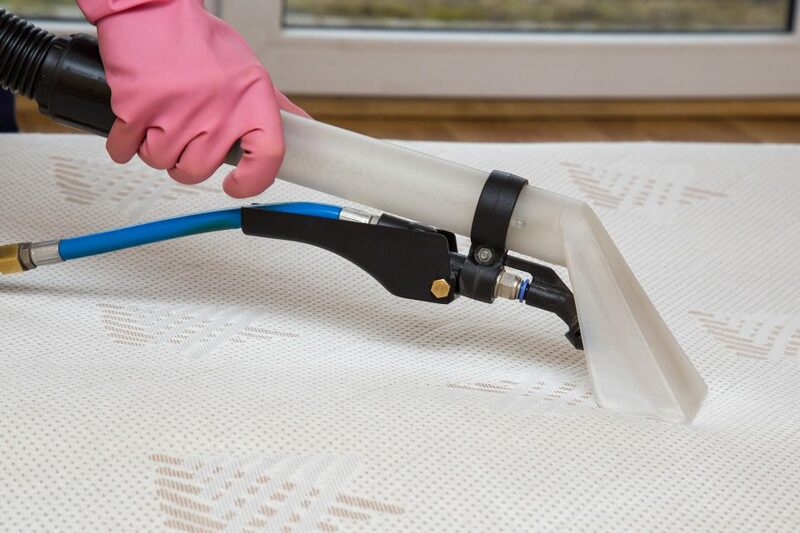 Mattress steam cleaning is the most effective way of sanitising and safeguarding your family. Our powerful hot water extraction equipment runs at a high temperature, sufficient to naturally remove dust mites, bacteria, sweat and stains while simultaneously sanitising and deodorising the mattress. Just be sure to let your mattress dry fully before putting your sheets and blankets back on the bed. For a better night’s sleep, be sure to clean your mattress regularly, every six months. Call Diamond Steam Cleaning for a customised quote on 0426 105 106.